Nā Kilo Event at Palekai is on for Oct. 21! 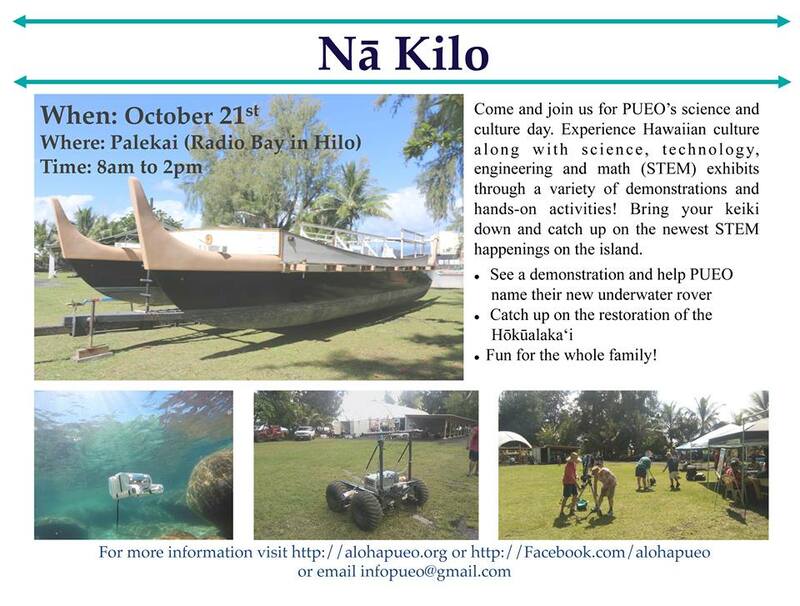 Nā Kilo is our cultural science event to get students of all ages interested and excited about science, technology, engineering and math (STEM fields). Hawaii has many activities going on all around the island which lead the world in many areas. 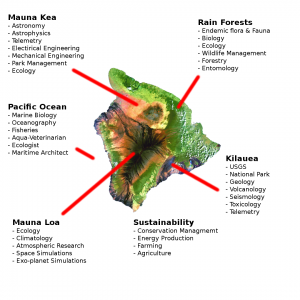 This event is a chance for those people who are involved in leading such endeavors to show the public the kind of science they are doing right here in Hawaii. We invite people, groups and companies from all over the island to join us. So if you’re interested in participating, please contact us either through this site or on facebook or twitter. The term Nā Kilo represents those who understand a certain field or trade to its fullest and most importantly expresses the ability to observe and to explore. Nā Kilo can represent the master as well as their learners in any given discipline. Perhaps you’ve not thought about all the STEM activities that take place in Hawaii but here are just a few we would like to highlight.